The City of Mount Dora has a fascinating history. Local legend suggests that The large, beautiful lake upon which the city grew is named for Ms. Dora Ann Drawdy (1819-1885), who homesteaded in the mid-1800s and befriended federal surveyors with her warm hospitality. In 1846, the surveyors named Lake Dora for her, and years later, in 1883, the small but growing town was named for the lake. Today, Ms. Drawdy is buried in Umatilla. 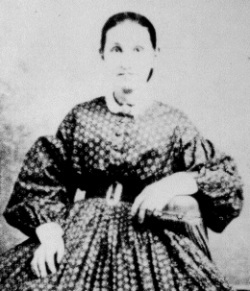 Research has shown that the first survey maps were published in 1848 with the name “Lake Dora.” The William and Dora Ann Drawdy family is listed as farmers in Georgia, not Florida, on the 1850 U.S. Census. They arrive in Mount Dora before the 1860 census. So the mystery remains of the identity of the first Dora for whom the lake is named. More settlers came to the area after Ms. Drawdy, including Mr. Ross C. Tremain and Capt. John Philip Donnelly, and each proved crucial to the growing settlement’s vitality. Tremain became the town’s first official postmaster in 1880. The town was known as Royellou at the time, unofficially named for Tremain’s three children, Roy, Ella, and Louis. Three years later, the town’s name was officially changed to Mount Dora to reflect the fact that the settlement rests upon a plateau 184 feet above sea level – an unusual feature in Florida. A popular winter retreat for hunters, fishermen, and boaters, The Alexander House opened in 1883 – a two-story hotel with 10 rooms. The Alexander House was renamed The Lake House in 1893, and in 1903, The Lake House was renamed Lakeside Inn and remains in operation today. Visitors included Presidents Coolidge and Eisenhower, Thomas Edison, and Henry Ford. In 1887, the arrival of the railroad stimulated the local economy and carried tourists and freight. Tremain opened the first orange-packing house in 1891, although surrounding groves were destroyed by the great freezes of 1894 and ‘95. Also during the 1890s, fertilizer factories were established as well as a cannery. In 1910, the town was granted a charter with Capt. John Philip Donnelly as its first mayor. With 371 residents, Mount Dora boasted two general stores, a hardware store, a drugstore, two churches, and a town hall. The Mount Dora Voice became the town’s first newspaper. Donnelly’s home, a Queen Anne-style structure, was originally built in 1893 and is now listed on the National Register of Historic Places. The early 1920s marked a significant boom in residential growth and business development, and Mount Dora began the transformation from a country town into a city. During this time, Mount Dora began investing in its public infrastructure. Streetlights, a water system, curbs, and paved roads were installed. The town’s first two public parks, Gilbert Park and Donnelly Park, were created after landowners Earl Gilbert and J. P. Donnelly donated prime pieces of land downtown and along Lake Dora’s shore. The Mount Dora Community Building was built largely from funds raised by Mount Dora residents, despite economic hard times during the late ‘20s. A determined group of residents pulled together to raise the necessary funds, and in 1929, the impressive Mediterranean-style structure opened with one seat for every Mount Dora resident — approximately 800. Since then, the building has served as the city's primary performance and meeting venue. In 2009, the citizens again came together despite economic challenges to restore and renovate the Mount Dora Community Building with improved seating, structural improvements, and an expanded lobby while at the same time preserving its unique style and exterior. Mount Dora is now home to more than 13,000. The city retains the flavor of a small town with many historic buildings and its large canopy oak trees, and is known for its variety of antique and specialty shops and numerous special events throughout the year. An interesting trivia fact: The 1981 film “Honky Tonk Freeway” was filmed in Mount Dora, and many Mount Dora buildings were temporarily painted pink for the film’s set. Today, Mount Dora is a still-growing city with a flair for the arts, and the city remains a popular tourist destination.